Royal William Square ~ Plymouth. 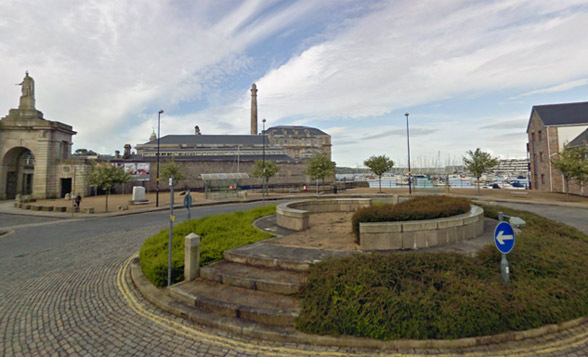 The impressive Royal William Yard is at Stonehouse in Plymouth. 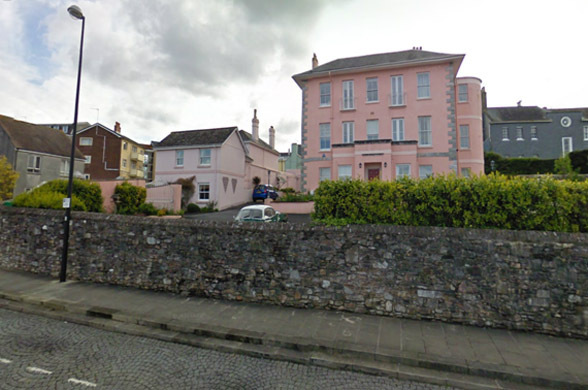 Named after King William IV, known as the ‘Sailor King’, it was built between 1826 and 1835 utilising labour supplied from captured French prisoners of the Napoleonic wars. 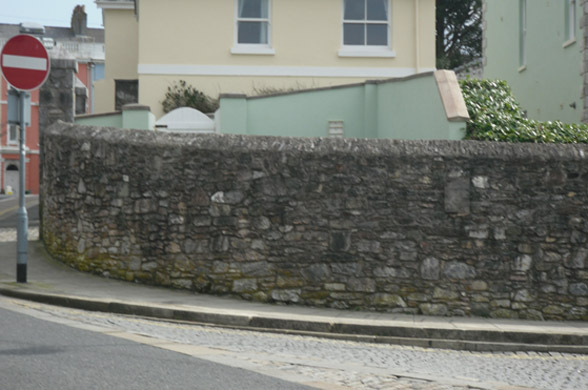 Owned by the Admiralty, it was a major victualling yard for the Royal Navy up until 1992 when it finally closed its doors and passed into private hands, where upon it was converted into up-market business and residential units. The original architect was Sir John Rennie (1794 – 1874). 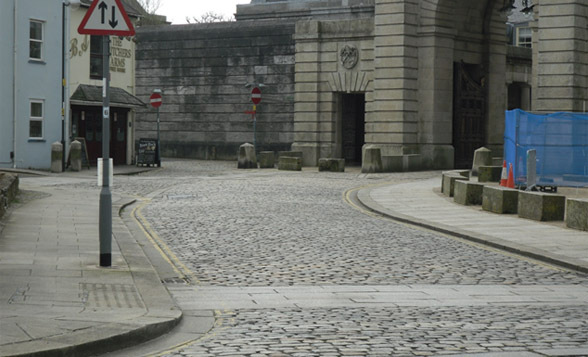 The 16 acre site is considered to be one of the most important groups of historic military buildings in Britain and the largest collection of Grade I listed buildings of its kind in Europe. 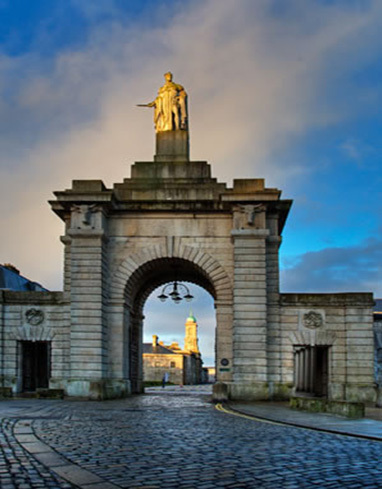 During the 1990’s the Plymouth Development Corporation (P.D.C) was set up and funding to the tune of forty-five million pounds was put in place to carry out conservation work to the roads and infrastructure leading into this scheduled ancient monument. 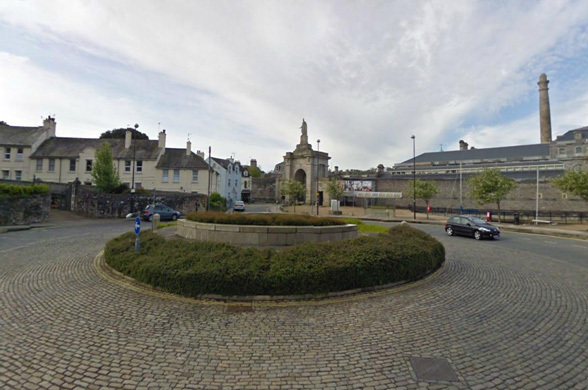 The work we were instructed to carry out consisted of building a brand new square which included a roundabout system, creating pavements, constructing stone boundary walls and the laying of thousands upon thousands of granite setts and kerbs for the roads as you arrive up to the entrance of this historic landmark. 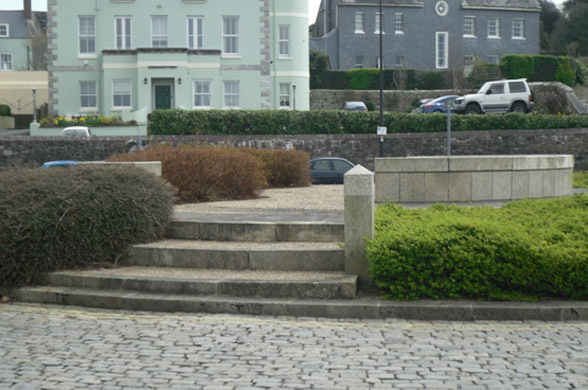 Within the central roundabout a circular seating area was created with steps leading up to it, all built using granite. 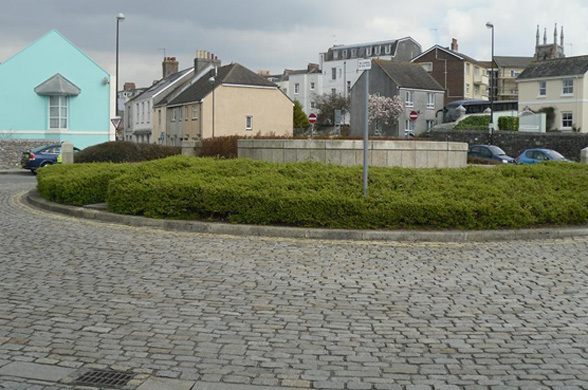 A curved retaining wall was built for Alwington House which was affected by the scheme, reclaimed Plymouth limestone was used for its construction. 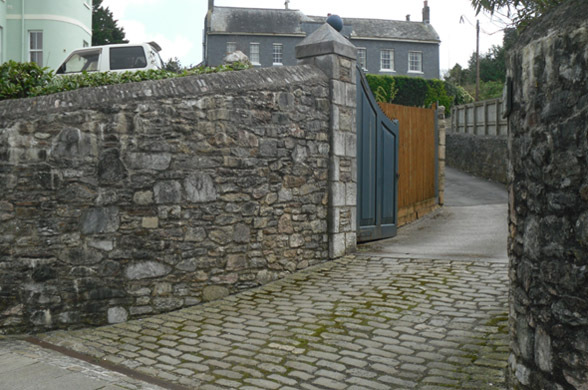 A new entrance with dressed ashlar quoins and piers caps, all in Plymouth limestone, was created leading into the property. 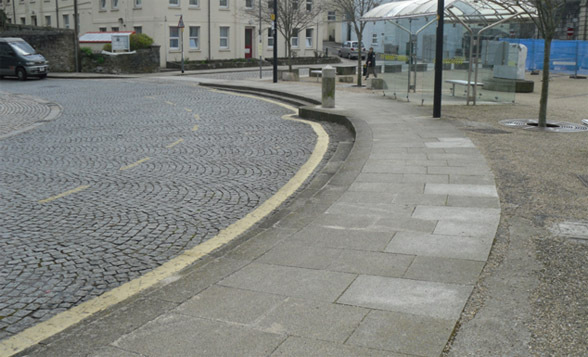 All the pavements were paved with slabs of granite. 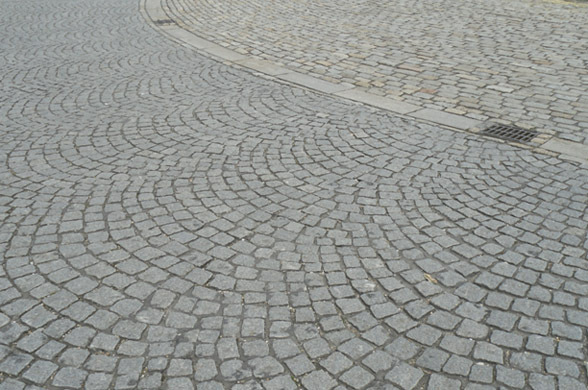 Whilst most of the granite setts around Royal William Square were laid in the traditional way and were reclaimed locally, some of it was set out in a radiating ‘fan’ pattern using new granite imported from Portugal.